Long story short, we want to make our hometown more beautiful by incorporating the traditional art of hand painted advertisements into the fabric of Stockholm. Done properly, this will bring color and character to many bleak spaces around our capital. 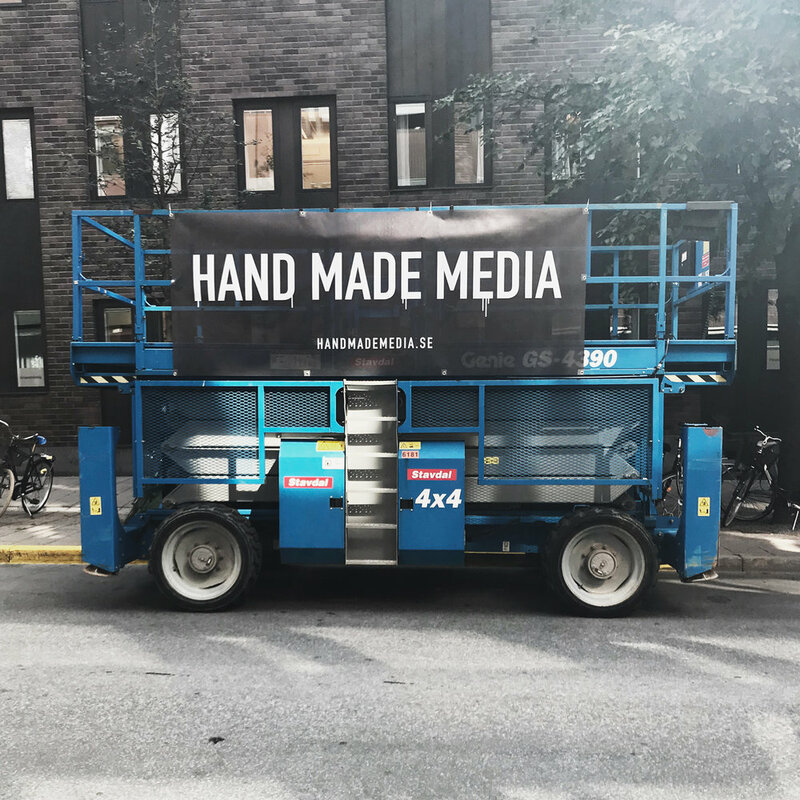 Art Director Lennart Claesson, with a background as a creative director at DDB in Stockholm and Moscow together with Gustav Wallin, from the scandinavian banking sector started Handmademedia to clash art and advertising in a reborn manner. Not many years ago all corporate OOH storytelling was done by skilled craftsmen who used brushes to bring brands and consumers together. With the influx of new cheaper technology this art was lost in a stream of vinyl signs and digital screens, until now. The process of hand painting a wall to fortify a message involves many crucial steps in order to achieve maximum impact. Lets have a discussion regarding our offer.